Successfully Added High-Tech Mobile GPS Jammer For In-Car Use to your Shopping Cart. High-Tech Mobile GPS Jammer For In-Car Use. To meet your comprehensive car security needs, Chinavasion is proud to bring you this Anti GPS Tracking Gadget. With an incredible operational coverage of 3-6 meters (10 to 20 feet), this device will ensure that intrusive and unwanted GPS signals are effectively jammed. Covert and portable, this device is designed to be very easy to use. 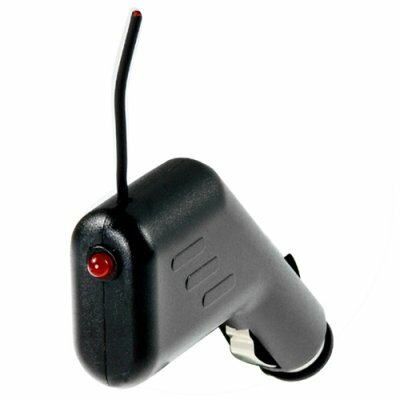 All that you need is a standard cigarette lighter with 12V for power, and the GPS Jammer will automatically block any GPS Tracking signals around and within your Car. A nice item to own and to sell, and comes with a one year warranty, so feel safe ordering Chinavasions Car GPS Jammer. Note: Mobile GPS signal jammers may not be permissible to import into certain countries due to licensing of broadcasts or other restrictions. Please check your country's customs / telecommunications regulations before placing your order.